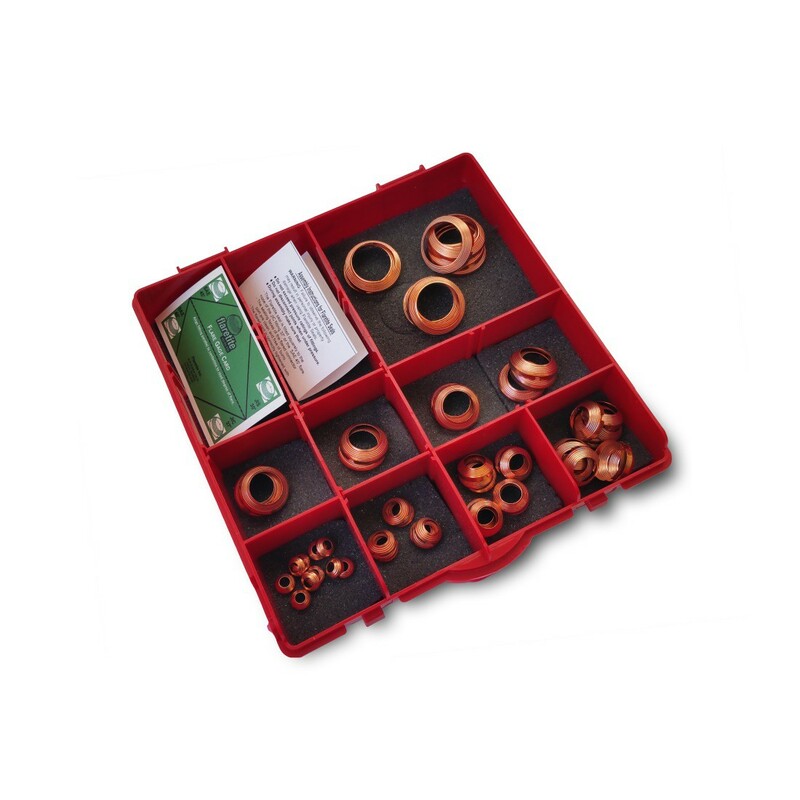 Sample Kit with 61 seals with Loctite or without Loctite coating for SAE 45 degree flared fittings. 10 x 1/4" seals per kit. 10 x 3/8" seals per kit. 10 x 1/2" seals per kit. 10 x 5/8" seals per kit. 10 x 3/4" seals per kit. 5 x 1" seals per kit. 2 x 1-1/4" seals per kit. 2 x 1-1/2" seals per kit. 2 x 2" seals per kit. 1 x Guage card per kit. 1 x Brass brush per kit. 1 x Loctite Coating for seal application. 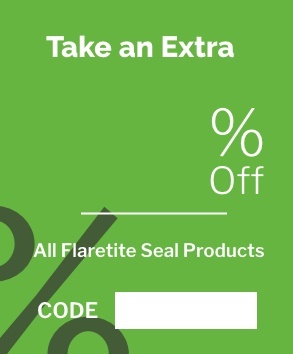 Not supplied if Plain seal.